Hussar Games’ 1848 Turn-Based Strategy Game. Developer: Hussar Games, Matrix Games. 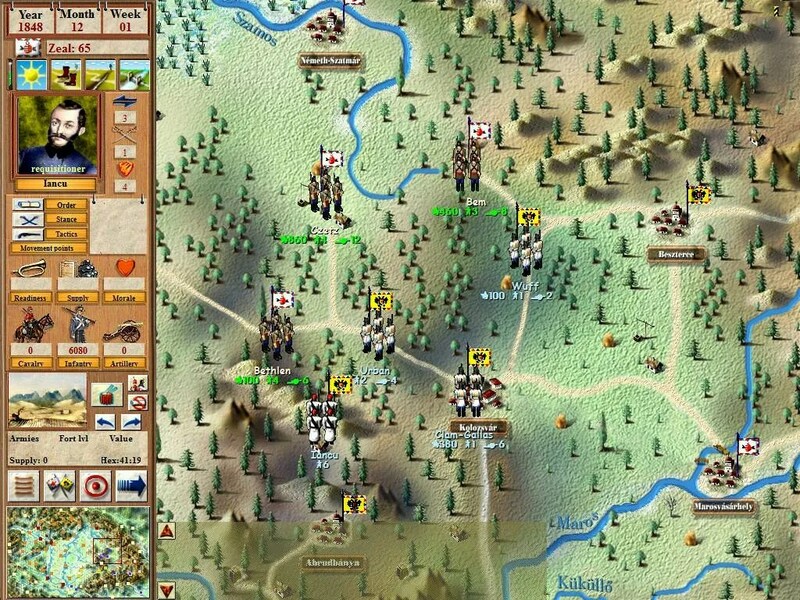 Description: A free, turn-based strategic level simulation of the 1848 War of Independence in Hungary. Notes: I was unable to get 1848 running on Windows 7. I also downloaded the For Liberty! demo and was unable to get this game running on Windows 7 either. They both are by the same company and use the same engine. Next story Adanac Command Studies’ ACW: 1861-1865 Grand Strategy War Game. Previous story Wildfire Games’ 0 A.D. – a Historical Real-Time Strategy Game.